A stylish boutique apartment in the heart of Whitstable's famous Harbour Street! Property 2: A stylish boutique apartment in the heart of Whitstable's famous Harbour Street! Beach Retreat - the perfect seaside escape. Property 8: Beach Retreat - the perfect seaside escape. Property 9: Quiet location on top of North Downs. Village pub in walking distance. The Hay Barn. 3 en-suite bedrooms, wood burning stove, optional hot tub. Property 18: The Hay Barn. 3 en-suite bedrooms, wood burning stove, optional hot tub. Property 20: Central Whitstable - Elevated Sea Views in Newly Refurbished Flat. Double Fronted Sea Cottage - Fantastic Location. 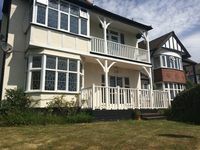 Property 21: Double Fronted Sea Cottage - Fantastic Location. Property 32: Sanderling Cottage - cosy cottage in the heart of Whitstable! Seasalter Beach Hut - On The Beach! Property 38: Seasalter Beach Hut - On The Beach! Property 46: Fantastic Inside / Outside Space. A Unique Layout In Central Whitstable.